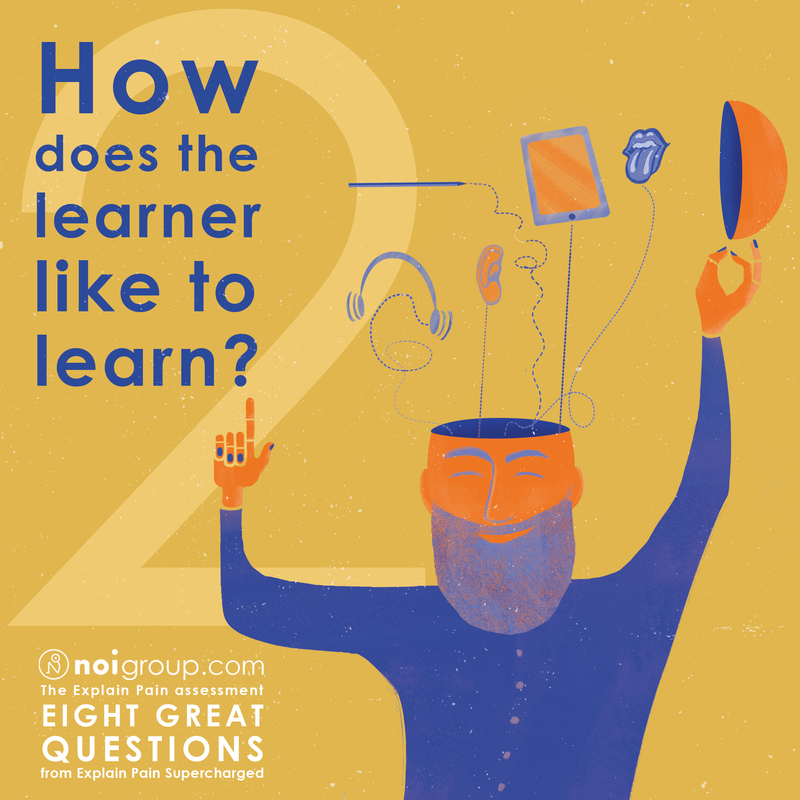 How does the learner like to learn? Visualised. Wow, what a response. The first of the eight great Explain Pain Assessment questions visualised was wildly popular – and why not, there is something powerfully captivating and thought provoking about Alison’s beautiful image. The image for Question 2 speaks for itself. Perhaps in a truly collaborative therapeutic educational process, both the therapist and the patient are both teacher and learner? Like a good dance lesson, a spectator has difficulty knowing who’s leading, unless they have prior knowledge of the participants. I love the concept of how does the therapist learn. Listening with full presence, and listening without the desire to interject or stir the conversation away from opportunities to learn. I also feel our ability to inquire and willingness to be open fully to any answer to guide us to what the patient is wanting and needing. Dr. David Jones recently opened a huge door for me when he said “we must learn and be willing to be guided by the patient’s subjective reality, rather than relying on only the objective measures to define how we care for people.